It makes sense that there is a secret group within the Deutsche Bundesbank working on a plan to resurrect the Deutsche Mark. It would be a gross failure of national risk management if they did not have a plan. Call it Operation Vollkreis. Isn’t this script getting a little tattered? Talk of a crisis starts. Sovereign yields rise. National politicians say no need for intervention. Austerity measures are introduced. Bond yields rise even more. Bailout is announced. Attention is then focused on the next domino. Greece bought a couple of years with a EU-IMF €110 billion bailout. Ireland has bought a couple of years with the EU-IMF €85 billion bailout. Attention is now focused on Portugal. On deck is Spain who is “the big one” (representing almost 11% of Eurozone banking). To be very clear, the European Financial Stability Facility does not have the money to bail out Spain (though they can handle Portugal) – nor is it realistic to think that the EFSF can be recharged to cover more than a few of the smaller peripheral countries. More seriously – what happens after Spain. The next big ones are: Italy, Belgium, and France. There is only one country in the Eurozone that is capable of bailing the Eurozone members out – Germany. In my opinion, it is getting near to the point where the cost to Germany exceeds the benefit. It is important to understand the differences between the collapses of Iceland, Greece and Ireland. Let’s start with Greece. This country was fiscally irresponsible. It racked up massive government debt paying for social programs that it could not afford. Investors foolishly (in hindsight) thought that Greek debt was no more risky than German sovereign debt. Greece’s problem was that of fiscal mismanagement. Given the political difficulty in implementing austerity measures, usually a country’s currency is devalued. However, there was no Drachma to devalue. The country is stuck in the Eurozone. The only choices the country has are: sovereign default, extreme austerity, return to the Drachma — or being bailed out. You know what was decided – but it really just buys Greece a three more years. In strong contrast to Greece, Ireland was fiscally prudent. In 2007, the net government debt to GDP was approximately 10%. The fiscal budget was essentially balanced. However, now we hear that the deficit is a staggering 32% of GDP – the highest in the EU. What happened? It the midst of the financial crisis, Ireland made a fatal mistake. To be fair, this was a time of great stress on financial systems. Northern Rock in the U.K. had to be nationalized in February 2008. Lehman Brothers filed for bankruptcy on September 15, 2008. The increased cost of bank debt was threatening banks throughout the world. On September 29, 2008, the Government of Ireland made the decision to guarantee their banks for two years. This meant not just guaranteeing the depositors but also the senior bond holders. The bond holders are important because they provide much of the capital for banking operations. At the time, Irish Finance minister Brian Lenihan boasted that “it was the cheapest bank bailout in the world” – it didn’t cost them a Euro. Well, that guarantee has come back to haunt them. The reason Ireland has gone down is the banks – and the ill-advised “guarantee”. It was not because of fiscal mismanagement. Ireland is also in the midst of implementing severe austerity measures. In contrast to Greece, these measures are being used to bail out their financial institutions. Like Greece, Ireland had no policy option of devaluation. Their hands were tied by the Euro. Iceland’s crisis was similar to Ireland’s in that the banking sector was over extended. However, Iceland had a policy option that differed from both Greece and Ireland. Their currency, the króna, was devalued by 60%. Interestingly, they are well on the road to recovery. You can’t just blame the banks in Ireland. It was the government that guaranteed them. What sort of risk management practice did the government have in place? Well, a lot of the risk management comes from the EU. The Committee of European Banking Supervisors (CEBS) provides much of the risk management. Indeed, in July 2010, they (infamously) conducted some stress tests. Read it here for Ireland and for the rest of the EU. The two of the main Irish Banks, Allied Irish Bank and Bank of Ireland came in with Tier 1 capital ratios comfortably above the 6% minimum. Should we blame the CEBS? Not exactly. That is because local regulators supplied the key parameters for the benchmark and “adverse” scenarios. Irish regulators suggested the “adverse” scenario was a drop in commercial and residential real estate prices of 17% in 2010. Prices are probably already below that today. Nevertheless, the stress test set up by the CEBS was not tough enough (84 of 91 banks “passed”). This is reminiscent of the U.S. stress tests where it was widely accepted that the “adverse” scenario was everybody else’s benchmark and the “benchmark” scenario was considered very optimistic. 1. Risk management practices of central regulators need to change. Adverse scenarios need to be adverse. Stress tests should not be spin exercises to mislead both investors and the public. 2. If your banking system is large compared to your GDP and it is dominated by national banks, then you must be extra conservative. Essentially, you are not “diversified”. If some of your banks are foreign, there is risk sharing. If they are all domestic, there is limited risk sharing. A good example is Canada whose banking sector is dominated by Canadian banks. The regulatory environment in that country enforces a level of conservatism. The Swiss have also indicated that they plan more stringent rules for their main banks than those suggested in Basel III. 3. A system of national banks is even more risky if you don’t have the ability to resort to devaluation. Hence, you need to be even more conservative. Ireland failed on all three counts. But they are not alone. Let’s return to Germany’s problem. First, it is critical to understand why Germany wants the Euro to survive. The German economy has hugely benefited from a cheap Euro. This has fueled their export driven economy and they have racked up a huge trade surplus. Indeed, there are many similarities to China. The Chinese exporters have benefited from a cheap exchange rate and are running trade surpluses of approximately 5% of their GDP. Germany has benefited from a cheap exchange rate and are running trade surpluses more than 6% of their GDP. China overtly manipulates their currency – much to the criticism of the rest of the world. Germany has the smoke screen of the Euro which is freely floating. However, think of it this way. Suppose the Euro was just a combination of the Deutsche Mark and the Drachma. 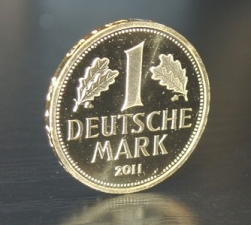 On a free float, there would be a huge devaluation of the Drachma and a revaluation of Deutsche Mark. Second, we need to understand the costs to Germany. There two main costs. Politically, this is becoming increasingly difficult. The riots in Athens and Paris over the raising of the retirement age to 62 does not sit well in Berlin where the retirement age is 67. A substantial part of the German population does not feel like paying for unrealistic social programs in other Eurozone countries. Economically, as the crisis widens, it is increasingly unrealistic to expect Germany to bail everybody out – because it is politically impossible and they cannot afford it. Why make the same mistake that the Irish made in guaranteeing all banks? We are reaching the crossing point. The costs of maintaining the Euro are set to overtake the benefits for the Germans. Hence, the Special Ops group in the Bundesbank. They are likely working on a plan that could be instantly rolled out. Does the Euro really matter? I have an interesting (hey, I am not biased!) research paper on exactly this topic. It is in a slightly different setting. However, the punch line is the following. Many of the benefits of European integration came from the harmonization of regulations and the steps that were taken to facilitate cross border movement of goods, services and people. My work (coauthored with Geert Bekaert, Chris Lundblad and Stephan Siegel) shows that there is little or no impact when the Euro is introduced. This is intuitive. Does is really matter if we have Euros or Deutsche Marks, French Francs, and Italian Liras? 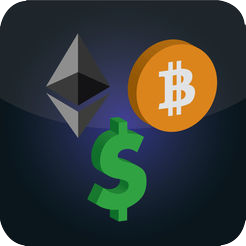 We have highly developed electronic trading of currencies. Consumers increasingly use credit or debit cards where the currency conversions are seamless. ATMs dispense multiple currencies if you want cash. It really doesn’t matter today. It mattered 20 years ago – but not today. For over ten years, I have been in the camp that the Euro would not work. Currency union without fiscal union is bound to fail – and we are seeing the failure right now. Back to the Bundesbank. You know the midnight oil is burning as the Special Ops team considers the Plan B – Zum Ursprung zurueck. The Euro has had a good run over the past 10 years. But the iconic barkeeper is shouting “HURRY UP PLEASE IT’S TIME” while the EU tries to squeeze in one more drink. This entry was posted in Finance and tagged Bailout, Deutsche Mark, Drachma, Eurozone, Krona. Bookmark the permalink. Won’t the Deauville pact obviate the need for an exit from the Euro? If bondholders have to take (potential) losses on their bonds starting 2013, the agreement between Sarkozy and Merkel implies no future bailouts. 1) Bondholders only share after 2013 and this refers to new bonds – what about all the old bonds? 2) Deauville does not deal with the inability of certain countries, like Greece, to use the policy instrument of devaluation. 3) At some point, as I mentioned in above blog, even the strongest country will conclude that the cost (continual support, you can call it bailout, or monetization via the ECB) outweighs the benefits (cheap Euro spurring export demand). 4) One important issue is who owns the bonds. Germany is heavily exposed to Spain. 5) Pact or no pact – the specter of bailout always looms as the backstop. 1. The Euro is extremely beneficial for Germany in respect of employment. Germany has the lowest unemployment rate since 19 years. Returning to the Deutsche Mark would come with high losses in employment. Remember for a decade the unemployment in the New Bundeslaender was close to 25%. The Deutsche Bundesbank had never had the mandate to foster employment but focus on price stability only. No German politician will go down the path of risking higher unemployment numbers. 2. I have roots in the US and Germany including retirement packages and assets. This said, I follow the policies in both regions carefully. In the US is so much chatter about the survival of the Euro. Why not debate with the same energy the survival of the US dollar? Is California in a better shape than Greece? Why not expell California from the Union? 2. Disagreed. Are you saying California and Greece are in the same situation? The California Gross State Product is about $2 trillion. Depending on how you count the state debt, it is about $250 billion. Indeed, the big budget deficits that get much press are very small compared to the State Product. Overall in the U.S., total state debt is quite small compared to the federal debt. Finally, California has been the engine of technological innovation for the U.S. economy. Yes, they have problems. However, it is not appropriate to compare them to Greece. This blogpost is about 4 years old, and the euro is still alive and kicking. This doesn’t mean that all is well, rather that there is no politician around prepared to take the blame for an invention that was bound to create more problems than benefits. The author of the blog explains quite well what is wrong. Germany was given an export boast and southern Europe received an appreciated currency that made exports more expensive and, of course, more difficult – while practically the entire EU establishment spread hot air about the euro equalising living standards across the continent, a “solidarity with the poor”. This was explained even more convincing (if possible) two years ago in two large articles by Peter Benson, an economist at Svenska Dagbladet, Swedens no. 2 morning newspaper. However, there was no reaction whatsoever from the political (firmly rightwing) editors of the paper, nor from other politicians or economists. Benson disappeared from the columns of SvD a few month later. What I would like to know is why this inherent inequality of the euro was not “discovered” already during the planning phase. I was part of the anti-euro movement when the voters of Sweden 11 years ago were allowed to have their say in a referendum (which we won by a minimal margin) but none of us in those days understood this extremely simple fact. My standpoint in 2003 was this: the euro will be a complete success if it works and if it fails. If it fails, the old currencies will return (no problem, as this blog’s author shows), and, most important, the governments will have voters with a catastrophy mindset, prepared for all kinds of austerity measures, scrapping of union rights, welfare downsizing or elimination, pension age rising – creating a copy of the tragically underdeveloped United States of America (the rival of the EU, according to some ideas expressed in Lisbon). I was wrong, very wrong. The welfare crash didn’t require a euro crash. The mere image of a euro failure was enough to produce every reform that neoliberals have seen in their wettest dreams (plus a wave of neofascism that they didn’t ask for). It’s like Naomi Klein wrote the recipe. Thanks for the comment. Yes the Euro is still alive and kicking. However, I stand by the analysis in the post. The Euro has caused significant distortions in all of the economies — including Germany. Certain German companies only exist because of the cheap exchange rate. It is important to realize that the Euro was a political action rather than a financial one. My research shows that the benefits to economic integration came from the regulatory harmonization that occurred before the Euro was introduced. It is hard to see any effect in the data when the Euro was introduced. As a political policy, the Euro was supposed to bring Europe closer together. Indeed, the Euro can only work if there is both fiscal union as well as complete labor mobility (technically speaking, market integration). We have heard some rumblings about fiscal union but I doubt the Germans (and other well off countries) would ever go for it (they call it a “transfer union”). By labor mobility, I mean a situation where people freely move from an impoverished country or region to a more well-off region. Take for example, what happened to the so-called “rust belt” or what is happening to modern day Detroit. We are far from that model in Europe. Hence, I remain pessimistic.